I first ran across Binger when I saw them open the local VT music festival The Precipice. I liked their sound, and had a good time listening to them, but did not catch too many lyrics. They seemed comfortable floating through a few different styles of music, had a nice relaxed vibe and rocked out plenty hard enough to keep me focused. They said they would have an album coming out soon, and I made a note to check it out. A few weeks ago, I bought Roots In The Rabbit Hole and started to listen more deeply. The music has a wonderful flow to it. There is some solid rock and roll, plenty of hip hop, a bit of jazz, and some Caribbean grooves. Like seeing them live, it’s a great album to listen to in the background. It can fill the space while you are focusing on other parts of your life. While a lot of music can be described this way, there is something extra special about Binger. Once you start listening more deeply certain lyrics start to jump out and sound familiar quickly. How can you not sing along to lines like We all started from the same root? When listening to the music, the first thing that comes through is the flow. It has some nice peaks and valleys but is always smooth and elegant. The next is, despite the smoothness of it, this really is a rock and roll album and the music gets very intense at times. Deeper listens show a prog rock influence here and there and a few guitar lines that sound like Steve Howe. Steel drums bring out a calypso influence in the hip-hop flow now and then, and as you dig into the song structures, it becomes quite intellectually stimulating. Who are we here for? Do we live life for ourselves or our ideal? This is the tip of the iceberg and it really takes a few listens to follow all of the words down the rabbit hole. The true strength of this album is that it allows you to enjoy it on many levels. You can listen casually and really enjoy it. You can listen with a bit of effort and get even more out of it. You can take it apart line by line and phrase by phrase and let it spark your imagination. When that happens, it’s completely up to you to take it as far as you want. 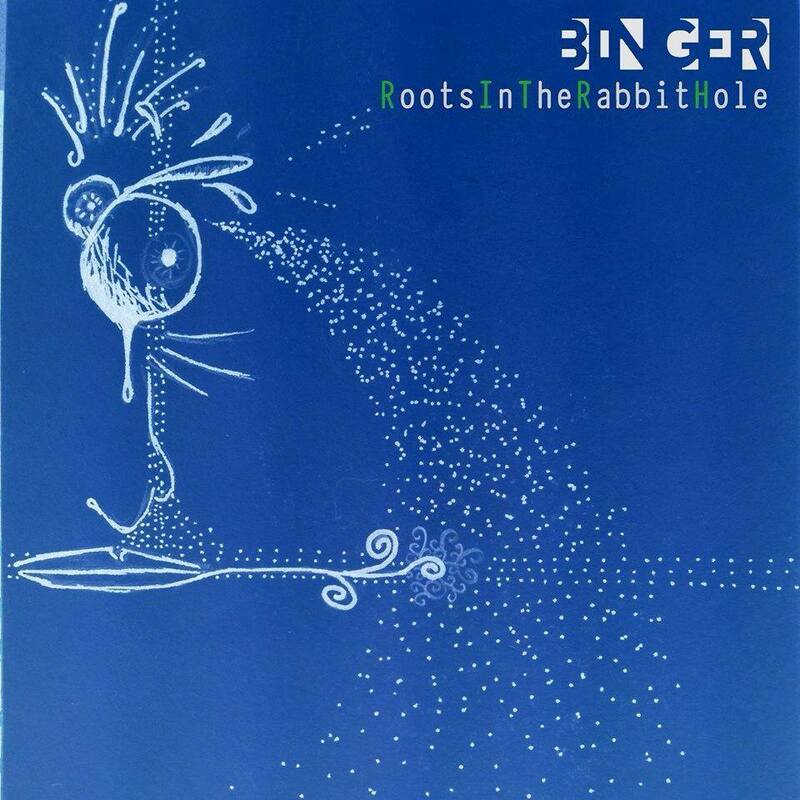 Tagged with album reviews, Binger, Roots In The Rabbit Hole, thoughts about music.